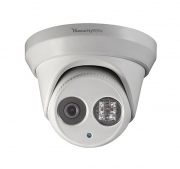 2MP IP Fixed Lens Mini-Bullet Camera with IR, 4mm, ICR, IP66, DWDR, 3D DNR, BLC, IR up to 98 feet, DC12V & PoE. Power supply not incl. use ST-PS12VDC1A/2A or PoE switch. 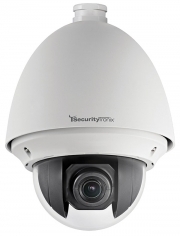 2MP IP Fixed Lens Dome Camera with IR, 4.0mm lens, ICR, IP66, DWDR, 3D DNR, BLC, IR up to 98 feet, IK10 vandal rating, DC12V & PoE. Power supply not incl. use ST-PS12VDC1A/2A or PoE switch. 2MP IP Fixed Lens Dome Camera with IR, 2.8mm lens, ICR, IP66, DWDR, 3D DNR, BLC, IR up to 98 feet, IK10 vandal rating, DC12V & PoE. Power supply not incl. use ST-PS12VDC1A/2A or PoE switch. 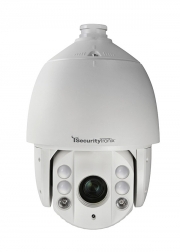 2 Megapixel fixed lens turret dome camera with IR, 4.0mm lens, ICR, IP66 weather rating, Wide Dynamic Range, 3D Digital Noise Reduction, Back light control, IR up to 98 feet, DC12V & PoE, Power supply not included use ST-PS12VDC1A/2A or PoE switch. 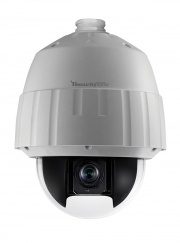 2 Megapixel fixed lens turret dome camera with IR, 2.8mm lens, ICR, IP66 weather rating, Wide Dynamic Range, 3D Digital Noise Reduction, Back light control, IR up to 98 feet, DC12V & PoE, Power supply not included use ST-PS12VDC1A/2A or PoE switch. 2 Megapixel IP Varifocal PTZ IR Dome Camera, IP66 weather rating, ONVIF compatible, 1/2.8 Inch CMOS sensor, Wide Dynamic Range, 3D Digital Noise Reduction, ICR, 20x Optical zoom, 16x digital zoom, 4.8-12mm varifocal lens, 492 feet Maximum IR range, Includes 24VAC power supply, Mounting brackets sold separately. This High Definition IP Camera is the solution for wide area video surveillance coverage with the ability to rotate 360 degrees, commonly installed in airports, malls, parking lots, hotels, warehouses, and more. The 32x optical zoom (4.8 mm to 153 mm) varifocal lens gives the ability to zoom in on an object from a distance giving a clear picture. 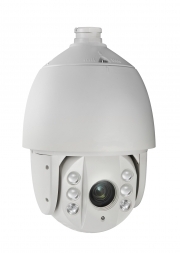 It is IP66 weather rated, ONVIF compatible, has Wide Dynamic Range, built-in LEDs and IR range up to 492 feet. 24 VAC & PoE (802.3at), 24VAC power supply included. Mounting brackets & controller are sold separately.